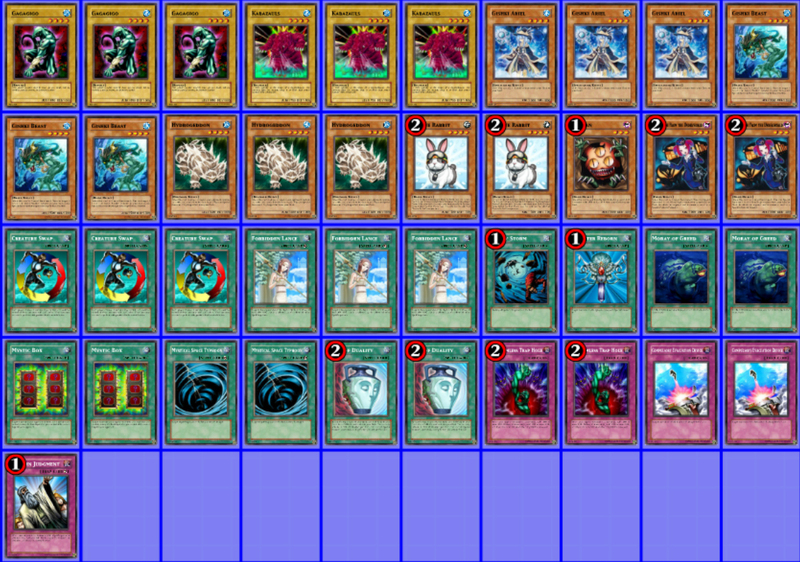 So heres a cool one its a flip effect monster that on flip will search a gishki. Meaning you will have a beast now in hand with a gishki in the grave to go right into shark. You really gotta be careful though because its easy to read a set Ariel. So It may be beneficial to adjust your main or side deck to take into account your meta, fissure/macro hurts as does the destruction abilities of inzektors and agents (In which case Giski Avance may work better). This card cannot be Normal Summoned or Set. 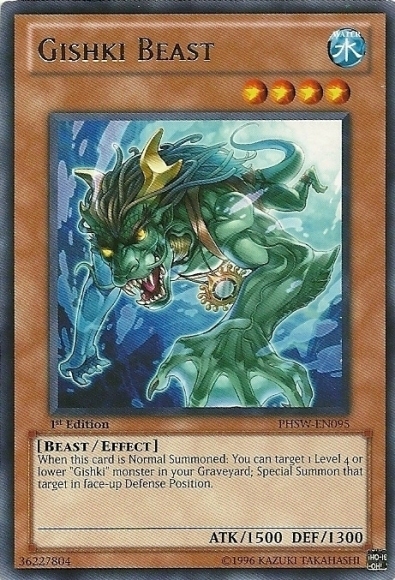 This card can only beSpecial Summoned by removing 1 WATER monster in your Graveyardfrom play. During each of your opponent's Standby Phases, you can change the battle position of 1 of your opponent's face-up Monster Cards. Once changed, the monster must remain in this position for the rest of the turn.